PUBLIC SERVICE ANNOUNCEMENT: Free Pret Today! YES YOU HEARD ME RIGHT PEOPLE! 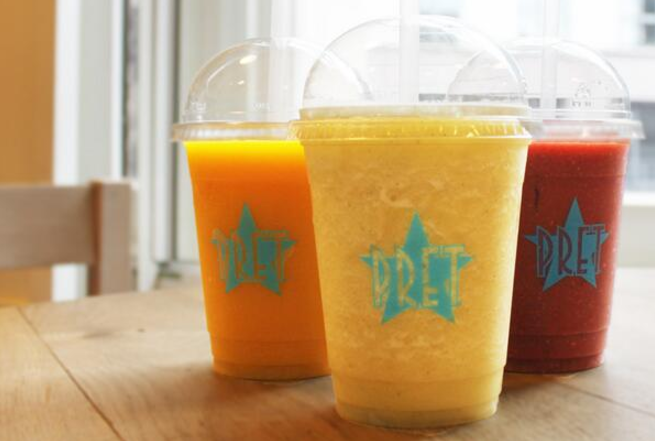 Pret are giving away free smoothies between 11 and 12pm today! All you need to do is screenshot this tweet and take it into your local branch to claim your free smoothie! There's a choice from plenty of flavours. To check if your local store is participating and the T&Cs, just click here. Quick everyone, this offer ends soon!